The Massey University College of Humanities and Social Science is offering the full-time scholarship to undergraduate/ postgraduate students to study in New Zealand. These Scholarship aims to attract highly capable new international students with demonstrated academic excellence to study in a College of Humanities and Social Sciences full-time undergraduate or postgraduate programme. Massey University has helped shape the lives and communities of people in New Zealand and around the world. Its forward-thinking spirit, research-led teaching, and cutting-edge discoveries make Massey New Zealand’s defining university. Degree Level: Scholarships are available for pursuing undergraduate or postgraduate programme. Recipients must be full-fee paying international students, who are neither citizens nor permanent residents of New Zealand or Australia, and who are enrolling for the first time in a programme at Massey University. Applicants must remain full-fee paying international students throughout the duration of their study in order to remain eligible for the scholarship. The recipient must be enrolled full-time (equivalent to at least 120 credits per year) in an eligible undergraduate or postgraduate programme offered by the College of Humanities and Social Sciences. This scholarship is not available for applicants wanting to study the Doctor of Philosophy programme. Recipients must be enrolled as “internal” students (who take courses delivered by either Internal or Block mode). Students enrolling as distance or mixed mode delivery (combination of Internal and Distance courses) are not eligible to apply. The Scholarship is subject to the recipient meeting all programme admission requirements. 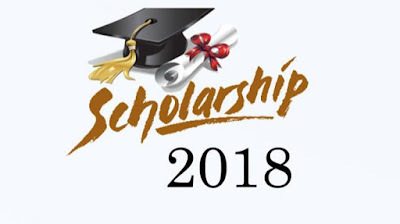 For the purpose of this Scholarship, the academic merit is assessed as an admissions Grade Point Average determined by Massey University or equivalent measure, as determined by Massey University. Applicants who are already enrolled in a Massey University partner institution’s articulation programme and seeking advanced standing or credit transfer, are not eligible for this Scholarship. Application Procedure: Applications must be written in English and submitted via our online application form.